I still haven’t got used to this: Sundays are my own. I don’t ‘have to’ do anything. 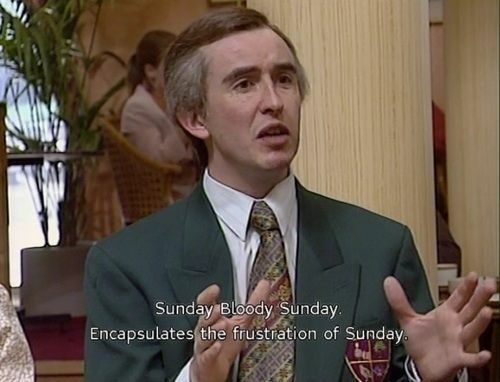 Of course, when I was the minister of a church, I enjoyed Sundays: better in fact than most days. We got used to not seeing each other in this family on this day: it was life (perhaps occasionally said ‘I wish’ under our breath at those who said ‘we are too busy’ or even ‘call that busy?‘). But I don’t have to do anything. My time is my own. I go to church as I want to. We can have long unplanned days. If something crops up; there is no reason (apart from tiredness) not to do it. Reading all that back to the self I was just a couple of months ago sounds almost selfish. Eventually we may have to put some kind of routine in; but right now it feels like liberation….